So far Frogsiders has made no comment on the clearing of “Roma” encampments in France and the repatriation of their gypsy inhabitants to Romania. Now, however, it’s time to get this matter into perspective. Something that evidently the Gypsy leader, Iulian Radulescu, does not want to happen. 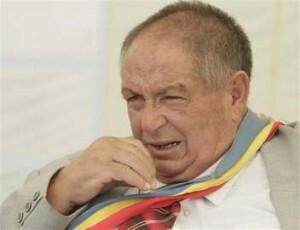 He recently compared French President Nicolas Sarkozy to Romania’s pro-Nazi wartime dictator Marshal Ion Antonescu. Radulescu suggested the expulsions were similar to those carried out by Antonescu’s regime in 1942, when 25,000 gypsies were deported from Romania to the Soviet region of Trans-Dniester. Some 11,000 of them died from exposure, typhus, starvation and thirst. So, Strictly Come Dancing is back this week, and this time I have even heard of most of the contestants. Not that it matters much if I don’t know who they are at the start of each series, because by halfway through I can’t help knowing about all of them – and having a couple of favourites. 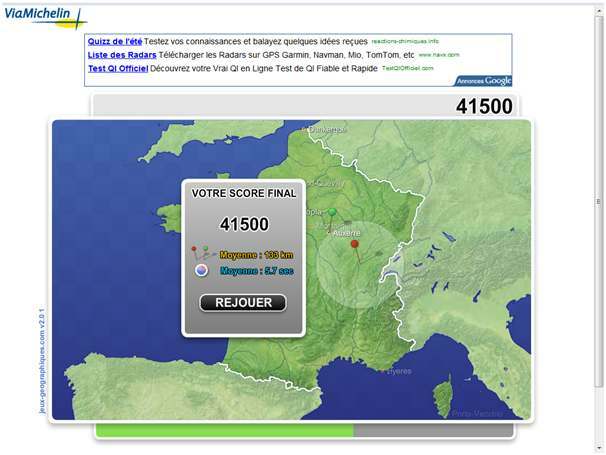 Just came across this game (on the Michelin maps site) that tests your knowledge of French Geography. Try it – it’s fun! This is the result of my first attempt. Can anyone do better? I got 47352 on my second try – beat that! It was unfortunate that the weather was windy and rather cool on Sunday when we paid a visit to La Chapelle de St Georges near Hesdin. Entering the show by way of a well-restored private roadside chapel adjoining a house which provided a splendid venue, we were greeted warmly and colourfully by David Maiden’s oil paintings. 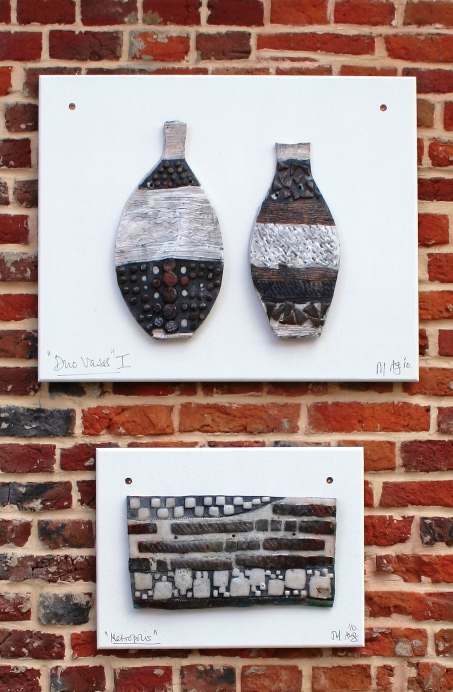 The wind made for rather uncomfortable viewing of the outdoor exhibits, and ceramic wall plaques by Jeannette Todd had to be removed from their hanging places and displayed, instead, lying flat on the concrete floor of an outbuilding, in case they blew down and shattered. There was no doubt we lost the opportunity to see this exhibit at its best. Each month Frogsiders publishes the latest Anglican Church calendar for the region. You can find it and download it by following this link to the Frogsiders Church page. This month you’ll find details of an important fund-raising Harvest Fete event on September 25. 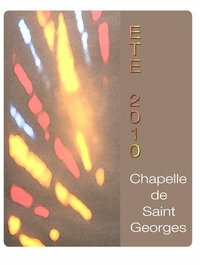 We have not yet received the latest Boulogne congregation newsletter but we’ll provide a link to download that, too, as soon as we have it.